A view of Mount Brandon from Doonroe, an ancient archaeological site next to Brandon Creek. The pile of stones appear to belong to a ruin of this settlement..
Unframed. Can be shipped easily. 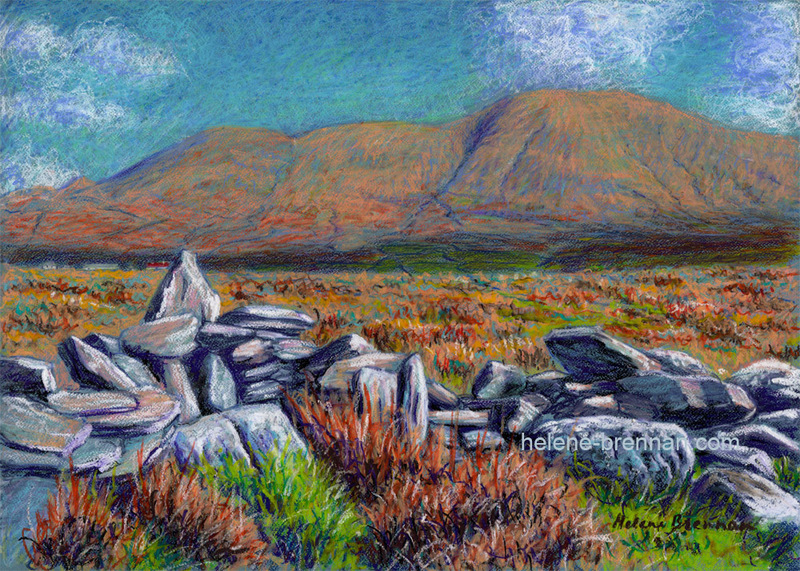 Limited edition prints also available, (€150) unframed for easy posting. Framing available. Please enquire. Printed with quality long lasting pigment inks on Fine Art paper.